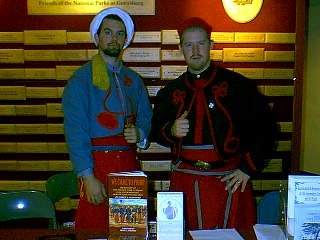 Welcome to the home of the 5th NY Veteran Infantry, Duryee's Zouaves! 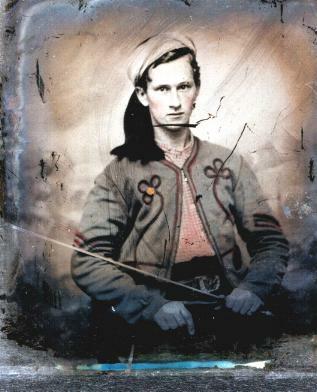 The 5th Vets were part of the Union forces from late 1863 to mid 1865. They were the Veteran continuation of the original 5th NY, and were composed of veterans of the 1st NY Inf., 1st NY Cavalry, 2nd, 4th, & 5th NY Inf., 5th NY Heavy Artillery, 6th, 8th, 9th, 10th, 12th, & 14th NY Inf., 16th NY Cavalry, 17th & 18th NY Inf., 20th NYSM, 25th, 29th, 31st, 32nd, 36th, 37th, 39th, 44th, 45th, 56th, 57th, 62nd, 69th, 71st, 80th, 84th, 99th, 103rd, 140th, 163rd, & 185th NY Inf., 16th CT Inf., 2nd & 13th MI Inf., 4th NJ Inf., & 68th PA Inf. (and possible other regiments as well). Assigned to Major General Warren's Fifth Corps, they played a conspicuous part in the campaigns of the East as part of the Army of the Potomac, enduring the actions of Bethesda Church, the Assult on Petersburg, Weldon Railroad, Poplar Spring Church, Hatcher's Run, Hicksford's Raid, Siege of Petersburg, 2nd Hatcher's Run, White Oak Road, Five Forks, and the Appomattox Surrender. They were mustered out 8/21/65 at Hart's Island, Long Island Sound, between Long Island and the Bronx. Special thanks to Patrick Schroeder for the images, roster, and a lot of the info! Click here for his history of the 5th NY Vets, "We Came To Fight"!